As the ONLY pet education media network, we take pets very seriously. We connect pet owners with information when and where pet health and wellness decisions are being made – in the veterinarian’s office. And just like people, pets need help to lead healthy lives. 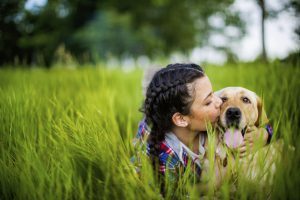 Vets are still the number one source for pet medication distribution and influence purchase at retail. Projected for 2017 – $69.36 billion will be spent on our pets in the U.S.
An educated pet parent is a responsible pet parent. That’s where PetCareTV steps in. Our petcare network is committed to providing informative and entertaining educational programming to pet parents across the country to promote better conversations with veterinarians and make more informed healthcare and lifestyle decisions to positively impact the lives of pets. We can work together to help keep our pets safe, happy, and healthy.